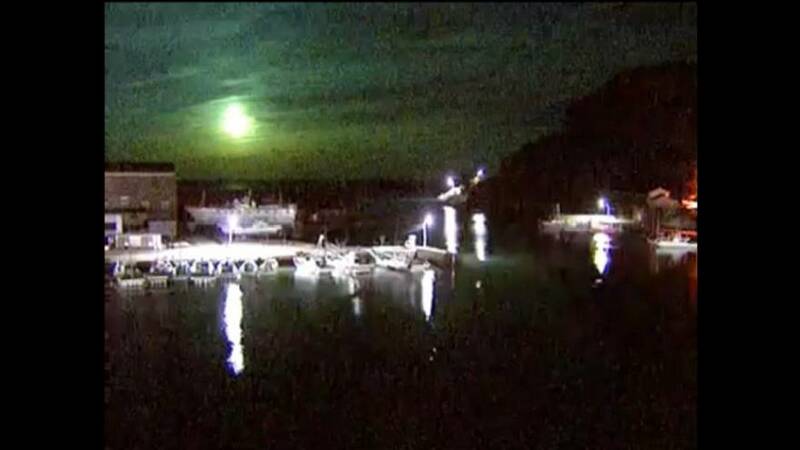 Weather cameras and mobile phones captured the moment when a fireball lit up the night skies across Japan. Witnesses report seeing a soundless bright light falling, like a shooting star, illuminating the sky for a few seconds with a greenish glow. An Associate Professor at the National Astronomical Observatory of Japan, Hitoshi Yamaoka, says he thinks it was a fragment of an asteroid, several centimetres in diameter, that burnt up in the Earth’s atmosphere. Ordinary meteors are pieces of debris, about the size of a grain of sand, that come from asteroids and comets which have burnt up on entering the atmosphere. Exceptionally large and bright meteors are known as fireballs. Debris from space falls to earth relatively frequently, though not often over urban areas.